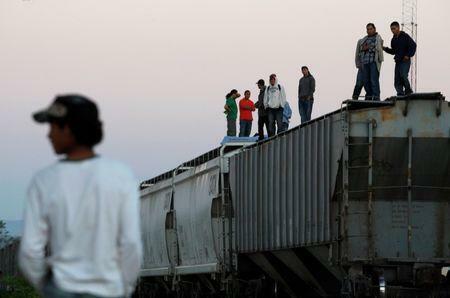 MEXICO CITY (Reuters) - Mexico's Communications and Transport Ministry said on Tuesday it had taken over a concession to a southern railroad, whose trains are known locally as "The Beast," which thousands of Central American migrants have used to hitch rides to the United States. The ministry scrapped the concession, which had belonged to the Ferrocarriles Chiapas-Mayab rail company, on the grounds of "public interest, public usage and national security," it said in a statement, without elaborating. For years, Central American migrants headed for the United States have illegally used "La Bestia," or "The Beast," to travel through Mexico. Ferrocarriles Chiapas-Mayab was granted the concession in 1999 and its title was modified in 2012, the ministry said.